Episode 112 - Greg Shea: Art & Athletics — How Was Your Run Today? Bryan and Peter check in from the HWYRT snow bunker during the big "bomb cyclone" winter storm. They talk about their running, or lack thereof, since the Millinocket Marathon and Half. 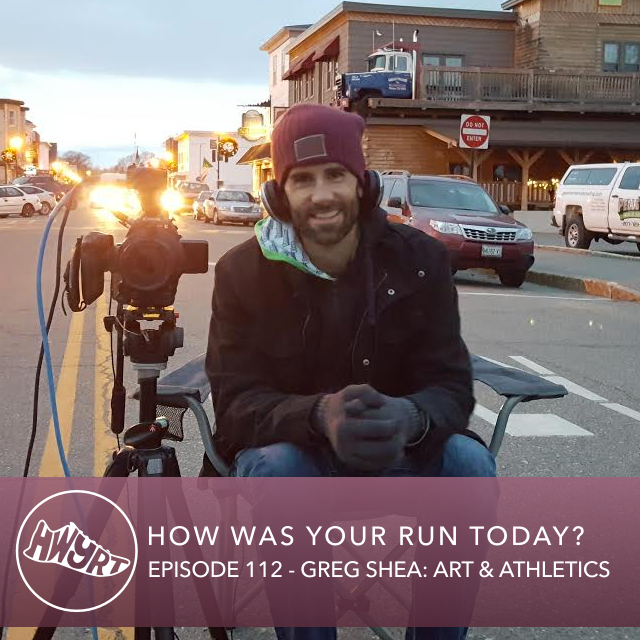 Then they are joined by award-winning filmmaker Greg Shea who talks about his experience filming the HWYRT team during the Millinocket race, as well as the next races he's hoping to feature on his Running with Cameras YouTube channel. Plus, a great new idea for a collaboration between Greg and HWYRT! HWYRT listeners like to review stuff!! !